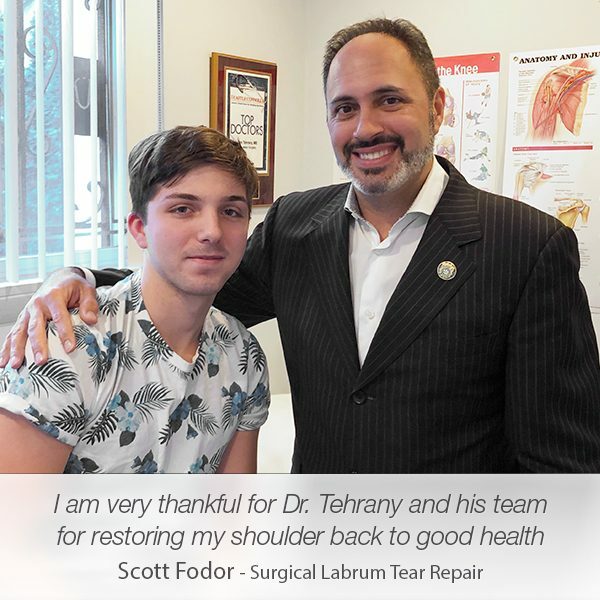 Patients who require a labral repair visit Dr. Tehrany’s office while experiencing an annoying pain or difficulty completing ordinary everyday activities. As a result of not being able to enjoy a pain-free life, they are highly vulnerable and what they need, besides the orthopedic care and treatment, is a compassionate and friendly behavior from the doctor. 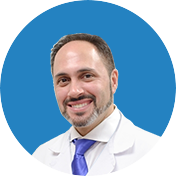 Being a caring and professional orthopedic doctor, Dr. Armin Tehrany understands patients’ need for sympathetic behavior provided not only from him, but from the entire medical team as well while going through stressful moments before, during and after the surgery or the treatment. 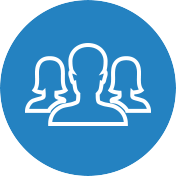 Sofiane Madi is a patient that experienced the benefits of a trustworthy relationship between a doctor and a patient. 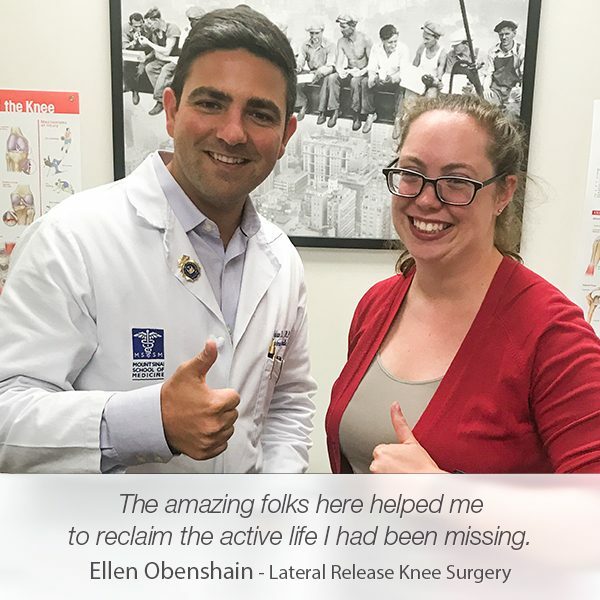 When he first visited Manhattan Orthopedic Care back in 2011 due to a knee pain, Dr. Tehrany successfully treated him with a physical therapy that quickly brought Sofiane back to his busy schedule. “Meeting with Dr. Tehrany has been a blessing in my life! Unfortunately, one year later, Sofiane had another appointment with Dr. Tehrany because of the painful shoulder dislocation. 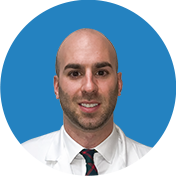 Since he developed complete trust in Dr. Tehrany’s knowledge and skills, Sofiane had no doubt about proceeding with the shoulder surgery that Dr. Tehrany recommended and believed to be the best treatment for Sofiane’s shoulder. 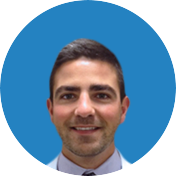 “A year later, I, unfortunately, dislocated my shoulder, had a very bad experience putting it back and right away thought of consulting Dr. Tehrany and see what he could do since I knew I would give him my 100% trust. After analyzing my results, he offered me to go for a surgery. Our agreement and mostly the trust that I have for him made me go ahead. Two years ago, Sofiane was once again our patient. This time, his other shoulder bothered him with stiffness and pain. 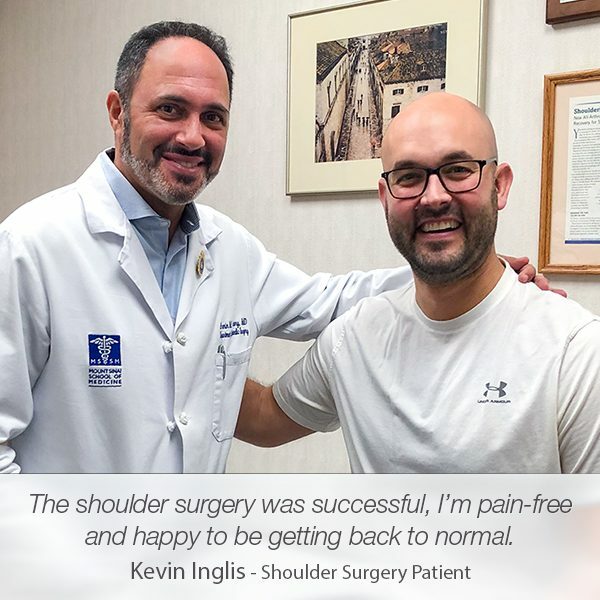 After he described his symptoms, Dr. Tehrany diagnosed him with a labral tear that required an immediate labral repair, a minimally invasive shoulder surgery to repair the tear in the glenoid labrum. Since he already experienced Dr. Tehrany’s commitment to patients’ well-being and was charmed by Dr. Tehrany’s professional manners, it took only one phone call with Dr. Tehrany to schedule the surgery and the physical therapy. 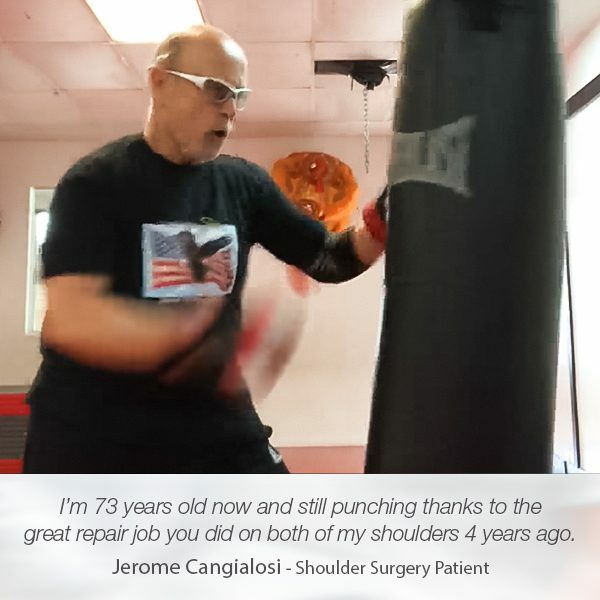 “In 2015, my other shoulder (the left one) started giving me the same problems as the previous shoulder, so you bet which Doctor I could only think of to fix it. Thrilled to be back to his pain-free life in no time, Sofiane left a positive review on Google, sharing his sincere gratitude to Dr. Tehrany and his team. Dr. Tehrany and his team have been amazingly good, welcoming and professional. Now that Dr. Tehrany fixed both of my shoulders, I can only say that if I have to fix any of my knees, I know who I’ll have to call. Thanks to Dr. Tehrany, Dr. Bouskila Stephan, and all team. 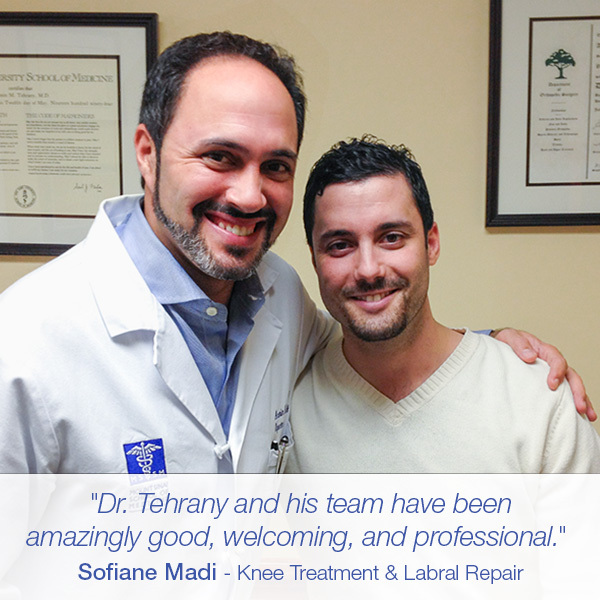 Thank you, Sofiane, for trusting our team and choosing us to help you overcome your knee and shoulder problems.